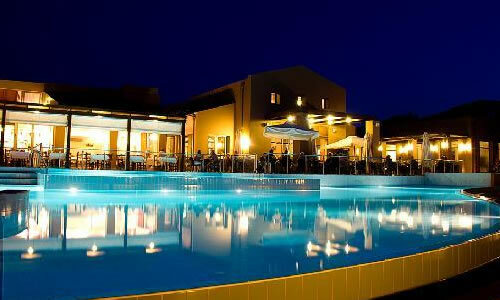 RCI Gold Crown Village Heights Resort nestles on the coastline of Crete, the Resort boasts beautiful lush landscaped gardens and offers breathtaking views of the Coastline. 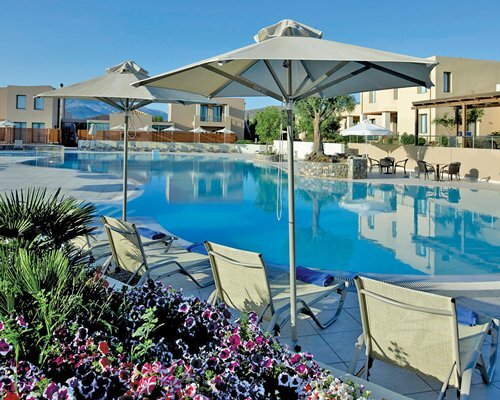 The traditional Cretan Village style studios, apartments and villas are beautifully designed to suit all tastes. Village Heights Golf Resort offers a full entertainment programme for both adults and children making your holiday onee not to forget. You and your family can enjoy a wide range of leisure amenities within the Resort including three pools (one indoor), a wellness centre, childrens mini club as well as many dining and entertainment venues. For the budding Tiger Woods enthusiasts outhere Crete Golf Club is just 2km away, with fabulous panoramic views, all guest enjoy huge discounts on all green fees.